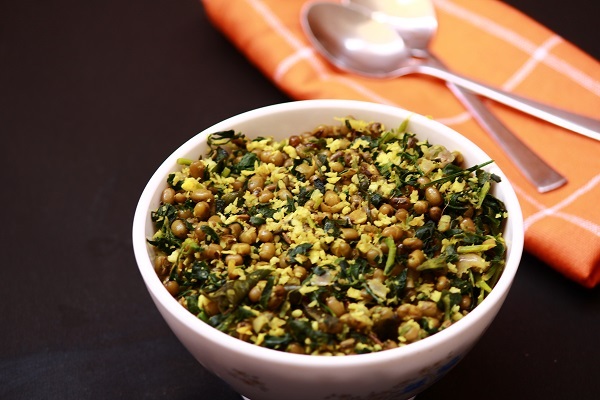 Today’s recipe is a very healthy thoran made with green gram and fenugreek leaves. 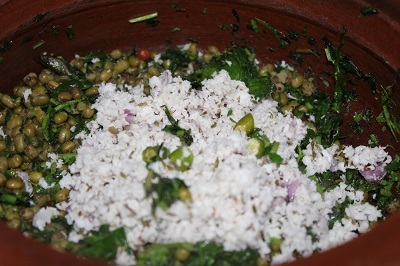 Thoran as I have already told you, is a traditional Kerala dish made with vegetables or with lentils and a coconut mixture. It is a very tasty side dish that can be served with rice and any other curry of your choice. 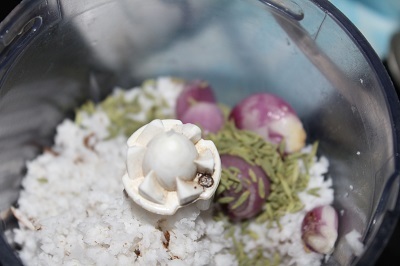 At home we all love thoran and I try to mix various vegetables along with it to make it more healthy. 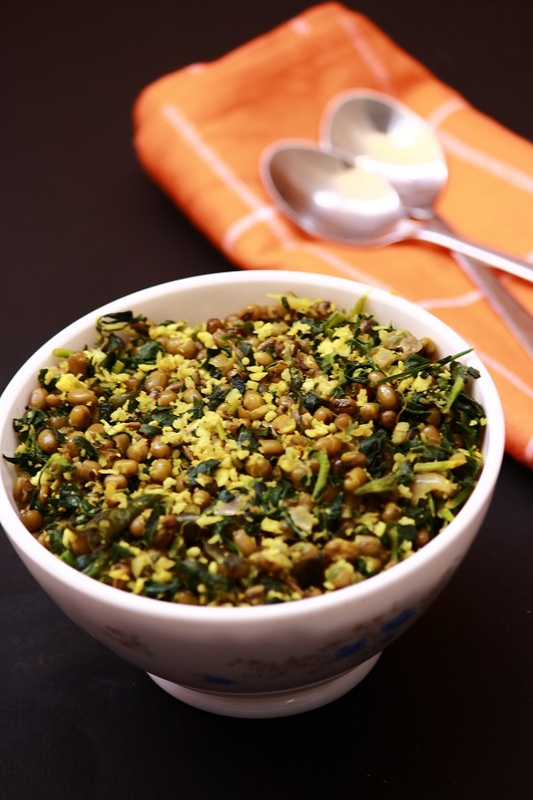 Today’s recipe is one such healthy dish made with green gram and fenugreek leaves. 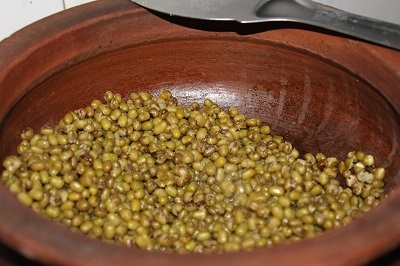 In Indian houses, both fenugreek leaves and fenugreek seeds are made use of in parathas, dal and so many other dishes. I have made use of fresh fenugreek leaves. Fenugreek leaves are a very good source of iron and is supposed to increase hemoglobin content in blood. It is a good source of vitamin K, protein, and nicotinic acid. 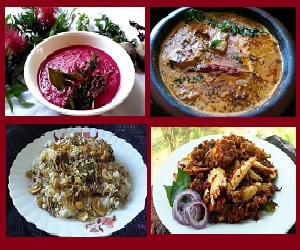 Inspite of all these health benefits, people do not prefer fenugreek leaves because of its bitterness. 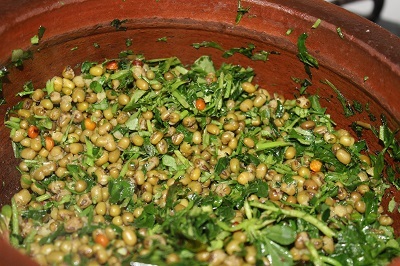 But in this recipe, fenugreek leaves are mixed with moong dal and coconut, which reduces the bitterness to an extend. Now to the recipe..
2. In a pan, heat oil. When oil is hot enough, splutter mustard seeds. 3. Then add curry leaves, channa dal, dry red chilly and saute on low flame till channa dal turns brownish in color. 5. Meanwhile, coarsely grind the ingredients given under “for grinding” and keep aside. 6. 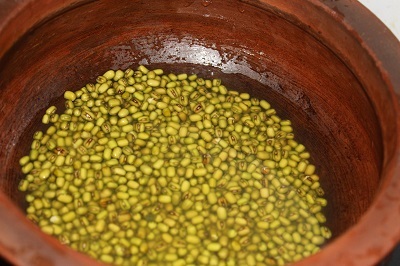 Once the green gram is cooked well and the water is almost absorbed, then add crushed coconut paste to it, mix well, saute nicely for few minutes. 7. 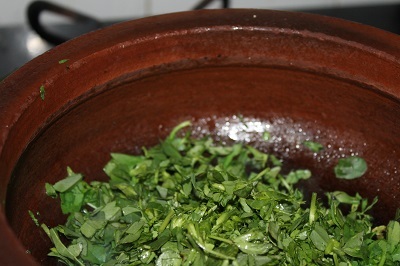 Then add the chopped fenugreek leaves, mix well. Check salt. 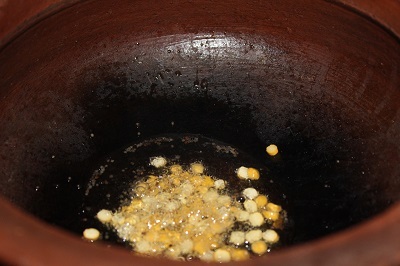 Saute for 2 – 3 minutes on low flame until the water from the leaves ooze out and get evaporated. Do not over cook the leaves. 8. Increase the heat and saute it for another 2 minutes to remove all the moisture. 9. Thoran is ready. Serve with rice and curry..